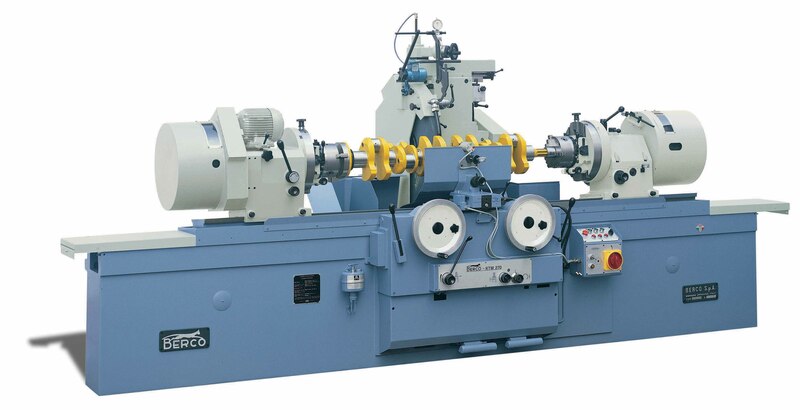 Grinding machines series RTM 270 are highly flexible thus allowing to obtain top productivity under any working condition. Version "B" is the most complete one in that it features a whole set of hydraulic devices which make the machine suitable for reconditioning small and medium-size sets of crankshafts. Version "D", similar to version "A", but featuring automatic table traverse for grinding cylindrical shafts (On request).